Tricor Courier and Cargo wanted to automate and expand their capabilities in delivery services. They were in need of a paperless confirmation solution consisting of a mobile computer for signature capture as well as a portable printer for on-location receipt confirmation for their customers. Tricor came to BarcodesInc seeking a solution to automate and streamline live package tracking and confirmation with a limited paper trail. The issue that they faced was that many of their paper delivery notifications were getting misplaced, leaving them with nothing to give to the customer. They needed a mobile computer to automatically update their server after every delivery route was completed, showing confirmation and signature capture as well as provide the customer with a physical receipt. A successful solution would be rolled out to all 50 of their drivers, each with numerous routes in the South San Francisco area. Byrne Dairy needed a reliable image scanning solution that could work in conjunction with its existing point-of-sale (POS) system and enable high-performance presentation scanning, plus automatic age and identity verification, to improve customer service. Sonbyrne Sales/Byrne Dairy has 58 convenience stores across Upstate New York. For nearly 40 years, cashiers at Byrne Dairy have manually keyed in all point-of-sale transactions. And the only way cashiers could verify a customer’s age for the purchase of alcohol and tobacco products was to run their driver’s license through the New York Lottery machine. It was extremely difficult and time-consuming for cashiers to verify out-of-state licenses, since they couldn’t be run through the lottery machine and had to be checked manually. These manual processes left room for error, so Byrne Dairy began looking into technology that could improve its processes, and ultimately, improve customer service. “There comes a time when you realize that in order to stay competitive, make employees’ jobs easier and exceed customer expectations, you have to do something new. For Byrne Dairy, it meant investing in technology,” explains Melissa Burke, Finance/IT Manager, Sonbyrne Sales. Jay Peak Resort was opening a new hotel location and needed reliable access points for guest and employee Wi-Fi needs. 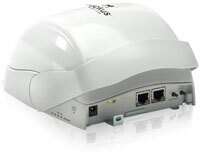 At the time, they had 20 access points deployed in their first hotel. For the new resort, Jay Peak wanted a fast and stable Wi-Fi service at a lower cost of ownership. BarcodesInc supplied them with Ruckus Wireless access points, the ideal choice – giving them instant configuration and complete control over their stable, secure network. Freeman Brothers Ensures Accurate and Efficient Product Delivery with Motorola MC75 Scanners, Zebra QL420 Printers, and Customized Mobile Route Accounting Software. Freeman Brothers was looking for a way to effectively track the distribution of their products at local retailers across their region. Their pen and paper process required them to take note of what was taken from the truck, maintain accountability if it was moved to a shelf, and provide a handwritten invoice to each store owner as a billing confirmation. Freeman Brothers wanted to move away from an antiquated system to something more in line with their competitors. In today’s market, handing over sloppily handwritten invoices was becoming time consuming and left a lot of room for manual error. Freeman Brothers wanted to stand out to their customers with a more sleek and established Solution that would provide a positive return on investment. With only a handful of drivers doing the stocking in the field there wasn’t a need for a larger networked Solution but rather something that could work independently and be updated at the office after the completion of a shift. Freeman Brothers wanted to give their customers the option of providing electronic invoices, as well as emailing bills to save on paper costs while also collecting valuable customer information. This would also eliminate the time that was spent printing and shipping bills from the office. The most critical piece of the Solution was still the ability to track items from the delivery truck to the store shelf. It was a challenge having to supply over 20 different locations, each with different discount levels and products. BarcodesInc developed a customized route accounting software that was capable of tracking pricing, stock levels, and customer information. Additionally, BarcodesInc developed specific features for Freeman Brothers that allowed them to have pricing tiers for different customer levels, which ultimately allowed them to provide deeper discounts to customers based on the amount of product that was ordered over time. This customized Solution also made the process easier for Freeman Brothers’s customers by allowing them to receive an electronic copy of their invoice and an email of their receipt upon purchase. 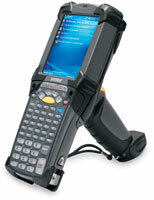 The Zebra QL420 still afforded the customer the option of receiving a printed receipt at the point of purchase, while the Motorola MC75 mobile computer provided signature capture and asset tracking capability. Being faster and more accurate are both showing immediate returns for Freeman Brothers who have already seen their profit margins increase with an increase in the number of stops a driver can make during a route. Additionally, they now have the critical data at a single touch of a button in the palm of their hand, thus saving them valuable time to allow them to get to the next customer in a much more efficient manner. The company itself isn’t the only one reaping the benefits. Freeman Brothers is also seeing a benefit to their end users who are now seeing an increase in fresh product being delivered and more accurate and easy-to-read invoices being produced. With this Solution both sides are seeing the benefits immediately. While the short term benefits are already showing potential, the long term benefits are limitless. As the company grows, their tracking system can handle the load now whereas in the past they were buried beneath messy paperwork and hard-to-read inventory checks. Now they will be able to add customers, products, and revenue to their already booming business without too much additional effort. This Solution should take care of their needs for years to come and BarcodesInc will be there with them as their needs grow by providing them with the right products as they go forward. Industrial Dynamics / filtec created a Filler Management System that would allow plant personnel at any bottling company (currently covering the brewery, beverage, petrochemical, pharmaceutical, spirits and wine industries) to monitor their average fill levels and limit the amount of product they placed in their bottles to meet regulatory standards. However, Industrial Dynamics needed the hardware to make this happen. 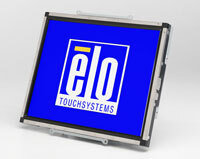 They chose to partner with BarcodesInc who recommended using ELO touchscreen monitors. 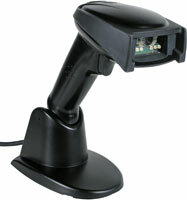 Now, BarcodesInc supplies them with these monitors at the heart of their systems wherever they implement them, worldwide. The touchscreen interface solution helped increase the efficiency and ease of use of their system, benefiting their end-users. Upco Inc., located in Claremore, Oklahoma, has the second largest factory in the world for the production of sucker rods. Sucker rods join together the surface and downhole components of a reciprocating piston pump installed in an oil well. With a total capacity to produce over thirty million feet of sucker rods per year, Upco is the only domestic supplier of sucker rods owned by employees. To improve the efficiency of the plant, Upco required a system to identify quickly and easily the grade the quality of scrap in their plant. Having 7 or more different grades, employees were required to read black only labels which could create confusion and potential errors. 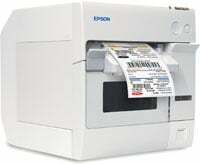 To reduce the potent for errors, BarcodesInc of Chicago, IL recommended Upco purchase an Epson TM-C3400 SecurColor on-demand color label printer as well as recommended media for their application. To complete the solution, the Information Technology group in Upco wrote an application in Visual Basic to automatically select the correct color based on the grade of scrap and to print the label on the TM-C3400. By adding a band of color, employees can easily identify the quality of the scrap, saving time, reducing errors and saving money. The Federal Housing Finance Agency’s (FHFA) facility management office needed an easier way to track all of their assets, and Barcodes Inc was able to meet their high demands. We submitted a bid for them within 24 hours of their initial request, and when the true scale of the task was established, we contacted and worked directly with them to build a custom solution that utilized RFID technology. Their current system had employees scanning each item one by one with standard barcodes on them. They needed the ability to track over three thousand items and expected that number to double within the next year, so RFID would be optimal to allow them to scan and report data on as many units as possible at once. Through Symbol MC9090-G mobile computers, AssetWorx software and custom printed RFID tags, FHFA was able to tag all of their assets and manage their counts and locations in mass – saving them a lot of man hours and improving accuracy. In need of a more efficient delivery and package tracking system for their home improvement products, Quaker Windows & Doors turned to Barcodes Inc for help. We created a complete solution for them which included both the hardware and software they needed to automate their, currently manual, process. Honeywell Dolphin 6500 mobile computers, accessories and Z-Space custom software were combined to fulfill their needs. This new system eliminated manual errors, created accurate delivery statuses and confirmations for their customers and minimized the customer service-related issues Quaker was previously dealing with. Needless to say, the process also became much more efficient for them. The Environmental Quality Company (EQ) required a large wireless network to be installed at one of their volatile processing facilities. They needed a combination of indoor and outdoor networking for their location, which maintained a wide variety of heating, ventilation and air conditioning equipment. 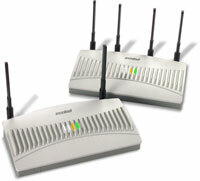 The wireless equipment would enable EQ to provide necessary data collection to their Class 1 Div 2 handheld computers. For over fifty years, EQ has been the leading provider of environmental management services. They use innovative technologies and services that minimize waste volumes, reduce costs and protect the environment. This combination of historical presence, technical innovation and flexibility has defined EQ’s commitment to setting the industry standard for customer service, associate satisfaction and financial stability. EQ needed a wireless infrastructure installed in a hazardous processing location without any impediment on its day-to-day operations. The network would need to then have enough range to allow workers to collect data on their mobile computers while transferring all the information into a central database. Barcodes Inc scheduled a call with EQ to identify all the requirements in order to detail a letter of proposal prior to getting an installation team on-site, which saved the company labor intensive costs. Upon arrival of Barcodes Inc’s installation team, all the wireless networking equipment had arrived, which eliminated any delay in the set-up. Following the installation, Barcodes Inc provided EQ with a quick education on their newly integrated wireless system which was centered around several Symbol AP-5131 wireless access points and various accessories to protect the network’s stability from harsh climate or weather. Barcodes Inc also provided topographical maps, access point ranges, mesh coverage areas and wireless artifact zones, along with a high-level overview of their wired infrastructure. The end Solution was a fully covered wireless work zone in each of their target areas that allowed data collection to be communicated quickly by their field workers to their central location. This was the first of five sites for EQ that needed to be retrofitted with wireless infrastructure. Barcodes Inc will continue to help EQ grow while providing them the wireless equipment and services necessary to place the right data in the right hands. Harsco Rail is a train manufacturer and also provides maintenance service for railroad tracks. They were using a third-party software for inventory tracking of their building and maintenance supplies and needed a hardware solution to automate the process even more. Barcodes Inc was selected to help them roll out a solution which consisted of Intermec CK3 mobile computers, Zebra P4T portable printers and accessories to mobilize their workforce and allow them to manage stock on the go.